Inky Fairy Designs: Join me on Annie's Facebook LIVE featuring my card in the CardMaker Summer Issue! 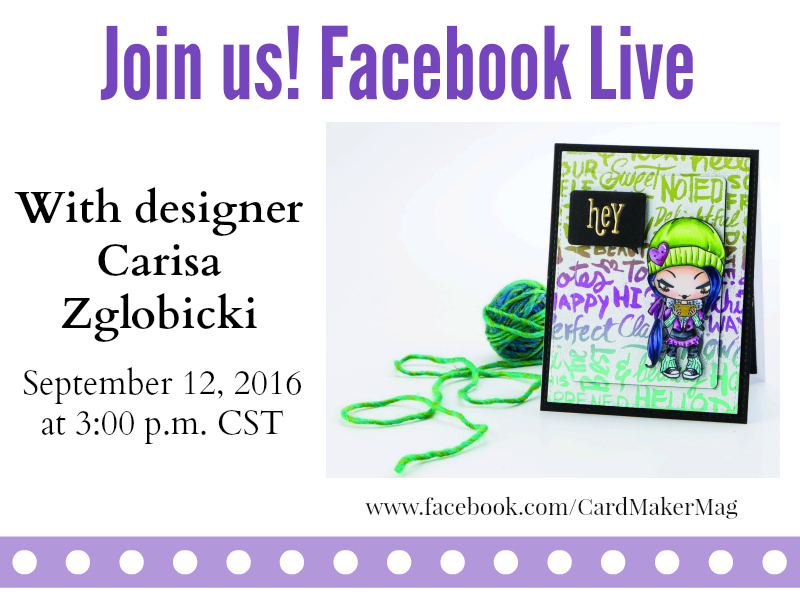 Join me on Annie's Facebook LIVE featuring my card in the CardMaker Summer Issue! I am so excited to be joining CardMaker's Facebook Live today sharing how I created this card that was published in the Summer 2016 issue. You can still get your hands on this issue HERE. I will be showing you how I created the background live on Facebook along with putting together the finished card and answering any questions you might have about card making, submitting to publications, designing, etc. I won't have time to color this card live so I filmed that ahead of time and you can watch it below or on my YouTube channel. Also, I'm super excited to offer a giveaway! I have an extra copy of this CardMaker Summer 2016 issue along with the stamp I am using today generously donated by The Greeting Farm. Enter using the rafflecopter below. Giveaway ends Friday and I will announce a winner Saturday! 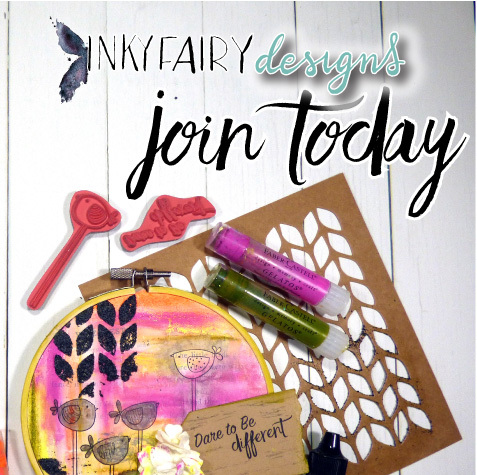 Check out my brand new Mixed Media Kit Club - first kit begins shipping soon! Thank you for showing us the card. This was the first time I watched something Live. Learned alot from watching you. My favorite thing about fall is the gorgeous colors in the leaves and the crispness of the air. Loved your demo today - that misti gadget is pretty rad!! Thanks for chance to win the stamp, card and mag! Saw this in the magazine. Fun stamps and colorful card! Thanks for showing us how to make it! Very pretty card. Love the vibrant colors you used. My favorite thing about Fall is Thanksgiving ... my entire family gets together for a feast!